Rifle is a one-credit sports studies course. Classes are two hours long and meet once a week for eight weeks. Safety and shooting equipment is provided for dry- and live-fire exercises. Introduction to Shooting Sports is the class’s only prerequisite. 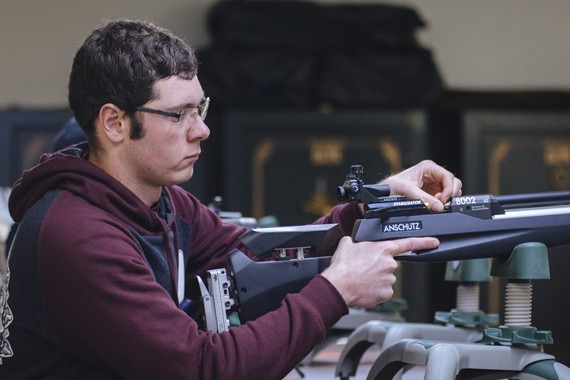 The goal of the rifle class is to introduce shooters to the sport of rifle shooting in a safe and enjoyable manner. Instructor must verify that students have participated and learned the skills required to move forward each week.